Embellishments! Beautiful, thoughtful embellishments punctuate this soulful standard. 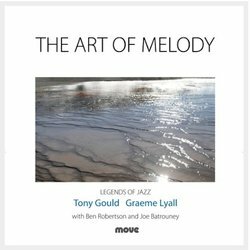 You could listen for hours as Tony Gould and Graeme Lyall co-work this fine improvisation of one of the most easily recognisable tunes of its time. The nuance lent is uniquely Gould!